NEWSOM does what TRUMP did and guess what? NEWSOM threatens to withhold funds from cities if they don’t do what he wants them to do! When Trump threatened to withhold funds from cities not willing to follow the federal law he was called all kinds of names from the SF duo! Newsom proposed taking away transportation funding — including revenue generated by the gas tax — from cities that fail to meet longer-term housing goals. “The governor needs a plan that is not ‘one-size-fits-all;’ different cities have different needs,” said Santa Clarita Mayor Marsha McLean. The budget proposal includes an estimated $2.3 billion for housing, including $1.3 billion for cities and counties in financial incentives to plan for new homes and homeless housing efforts. Remaining funds totaling $1 billion are proposed for loans and subsidies to housing developers to build low- and moderate-income housing. The budget proposal still needs to be approved by the California legislator. Newsom said this plan could be the solution to the state’s housing crisis, which is fueled by the current rate of development: about half of the recommended units needed in order to stabilize the growing cost of housing, according to a study by the California Legislative Office. “The No. 1 driver of cost-of-living is housing – housing is the issue. Unless we get serious about it, the state will continue to lose its middle class and the dream will be limited to fewer and fewer people,” said Newsom. The proposal includes “carrots and sticks” for local governments, meaning there are incentives for those who meet the recommendations — and penalties for those who do not. 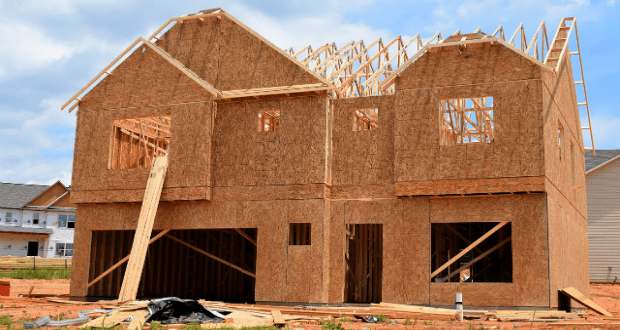 Newsom has previously called for building an estimated 3.5 million housing units to be constructed over seven years — almost doubling the current rate of production. There is an estimated $750 million in incentives for local municipalities, including an estimated $250,000 for “streamlining” local building regulations. The state budget proposal is expected to be revised in May, with a vote in both houses of the California Legislator scheduled by June 15. Previous articleBuzzfeed keeps digging s deeper hole! Next articleWould MLK be MORE proud of Trump than Obama!